Marigold Fair Trade had the immense pleasure of attending the Fair Trade Futures Conference this past month in Boston, MA. 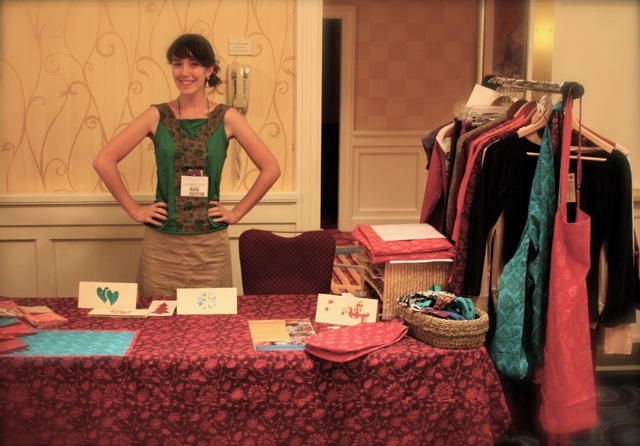 On Friday and Saturday night we set up a colorful table and rack with Marigold house-wear and clothing. There were over 70 other tables full of beautiful goods from all over the world and Marigold was a popular spot with the over 750 people who attended the conference. It was inspiring to be among so many other people dedicated to fair trade. From Peruvian coffee farmers to students majoring in fair trade, to activists. to shop owners, to wholesalers like us, there were so many dedicated, curious and passionate people brought together under one roof. Throughout the conference we attended discussion forums and talks about ways to support one another, teach our communities and support the cooperatives we work with. The conference reinforced the reasons we work for Fair Trade and in the faces of the hundreds attendees, showed us that this is a growing movement! Part 1 of “Fair Trade From the Seed to the Consumer”: Organic Cotton Farming	FREE FAIR TRADE FRIDAY Giveaway: Win an amazing organic napkin set!